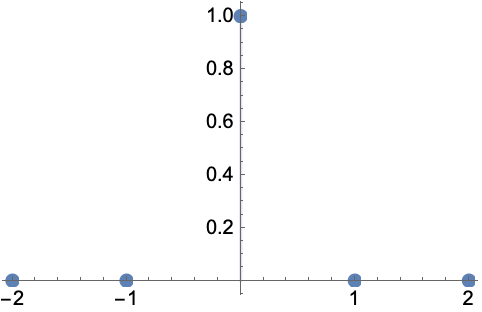 gives the Kronecker delta , equal to 1 if all the are equal, and 0 otherwise. KroneckerDelta gives 1; KroneckerDelta[n] gives 0 for other numeric n.
An empty template can be entered as kd . Arguments in the subscript should be separated by commas. The comma can be made invisible by using the character \[InvisibleComma] or , .